I am organizing a blog tour for Ullr’s Fangs by Katharine E. Wibell. The blog tour runs from 25 June till 15 July. Review copies of both books in the series so far are available for reviewers during and after the tour. There is a giveaway during the tour. 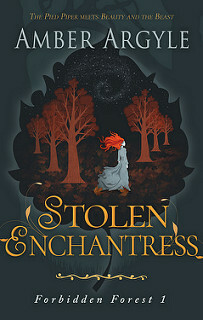 I am organizing a cover reveal for Stolen Enchantress by Amber Argyle. The cover reveal takes place on 7 November. The cover is designed by Melissa Williams Design.